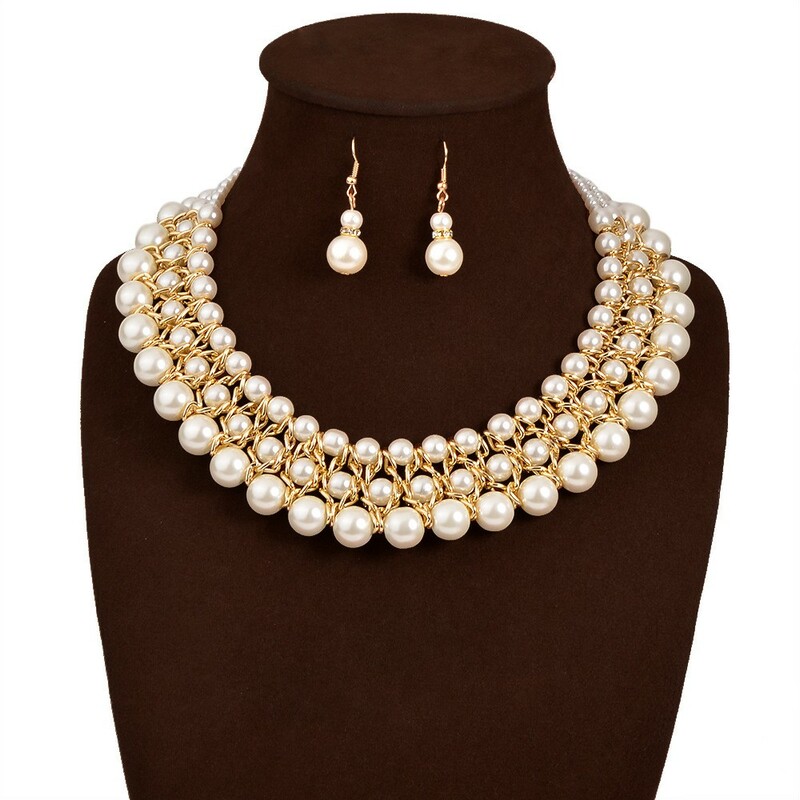 Bring elegant fashion flair to your everyday with multi layered pearl collar statement necklace. 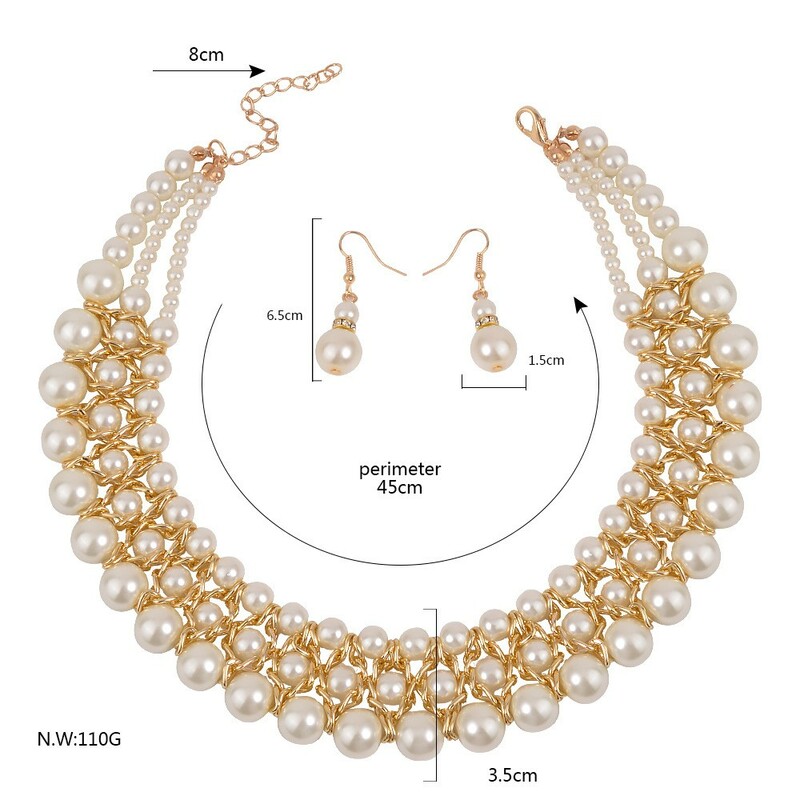 With unique three rows layering stacked design,made with different size of white imitation fresh water white pearls, the yellow alloy chain fixed the pearls in fitable place. Necklace approximate length 45 cm,the most outside row of pearl diameter is 10 mm. The Earrings are with the same kind of Pearls. This pearl statement Jewerly set will give you a cute sweetie style ! 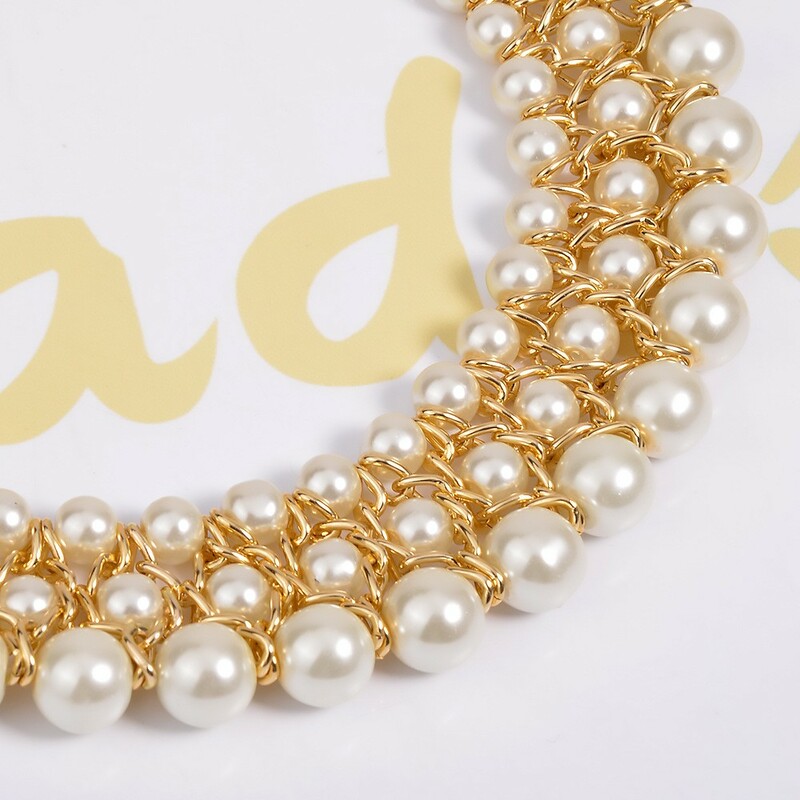 We provide all styles latest fashion chunky statement jewelry wholesale online, Choker &Bib &Statement Chunky necklaces, delicate long layered flower necklace, elegant pearl bracelets, beautiful Chandelier crystal earrings, personalised Costume gold rings, and many more.